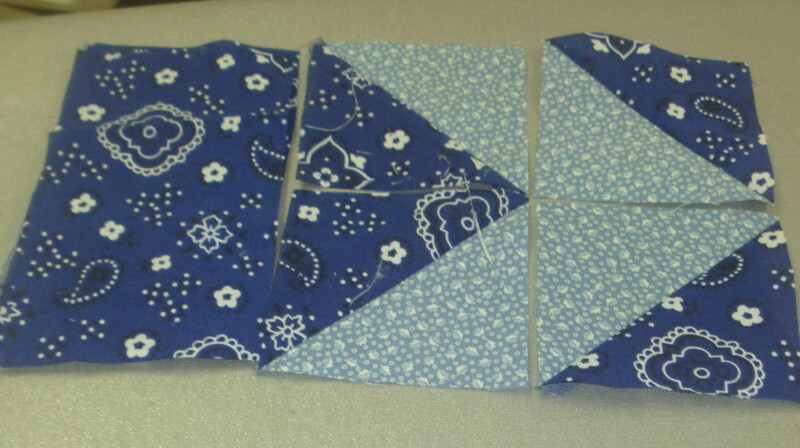 The early bird gets the worm, or in this case gets to make a quilt block before she has to go pick up bees. This is a large center block. 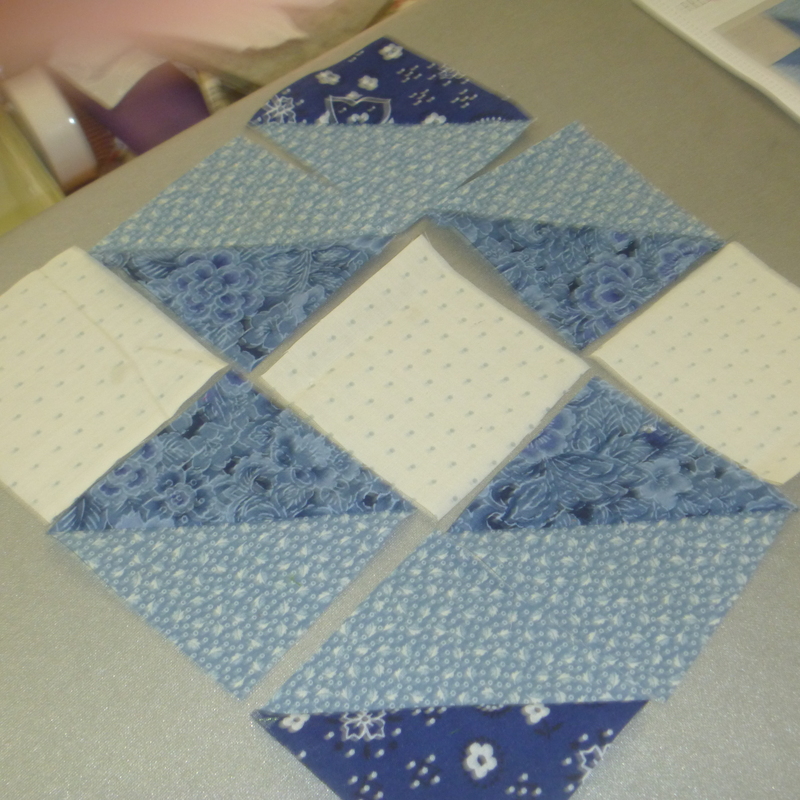 I started by making the half square triangles. 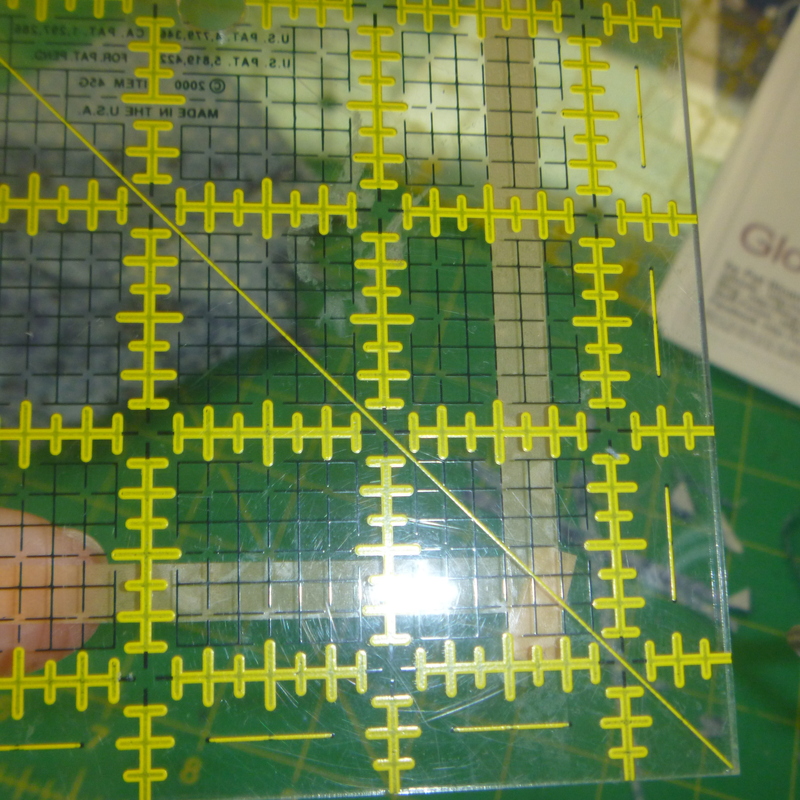 I absolutely love this tool for making them, so will show you how it works. 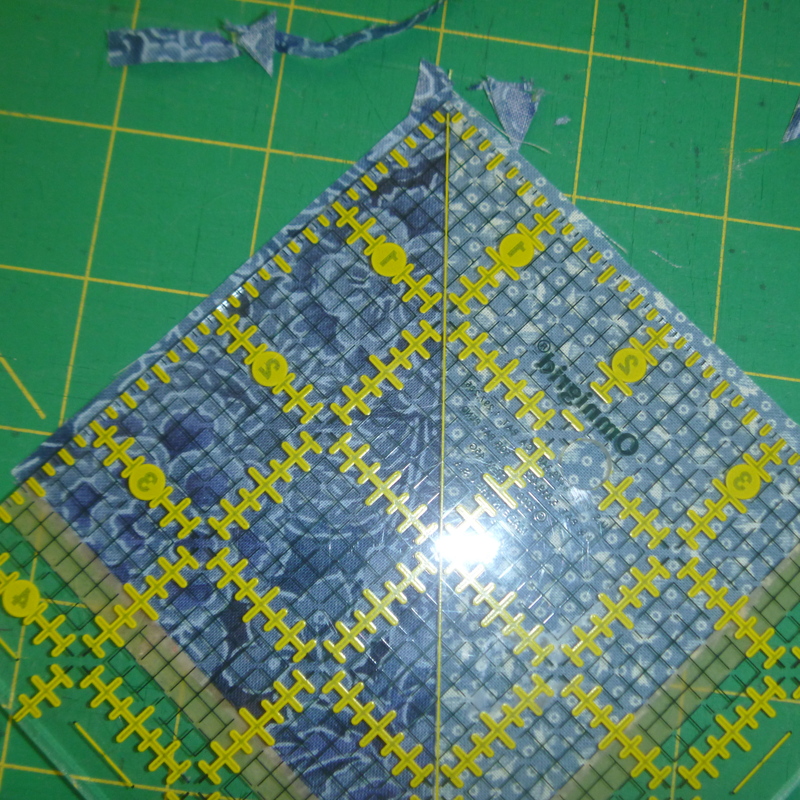 First draw down the middle and then on either side of this ruler. 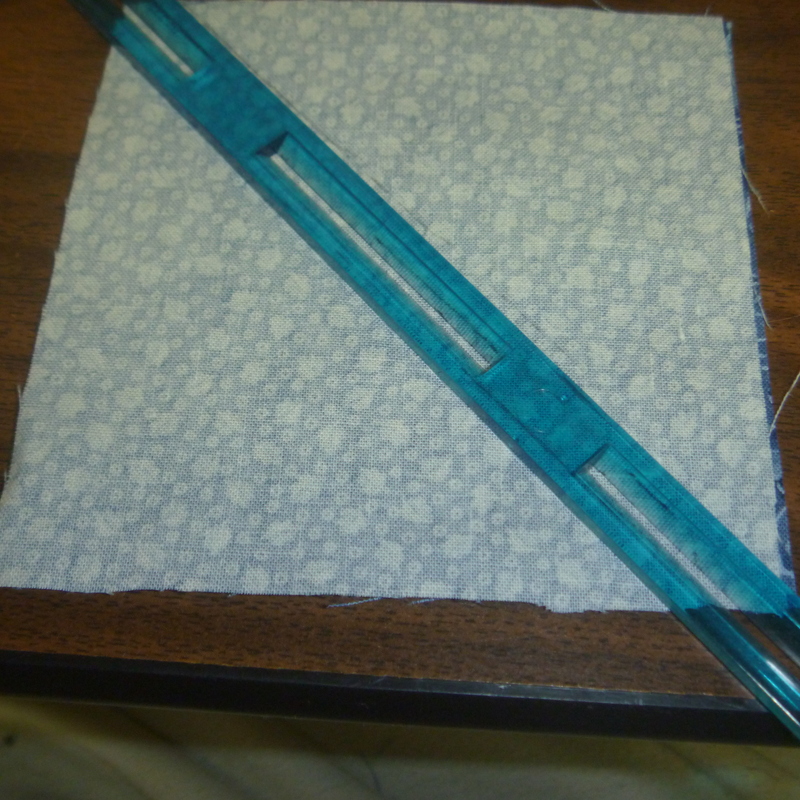 Then sew just to the outside of the line on the block, so that you don’t make the block to small. 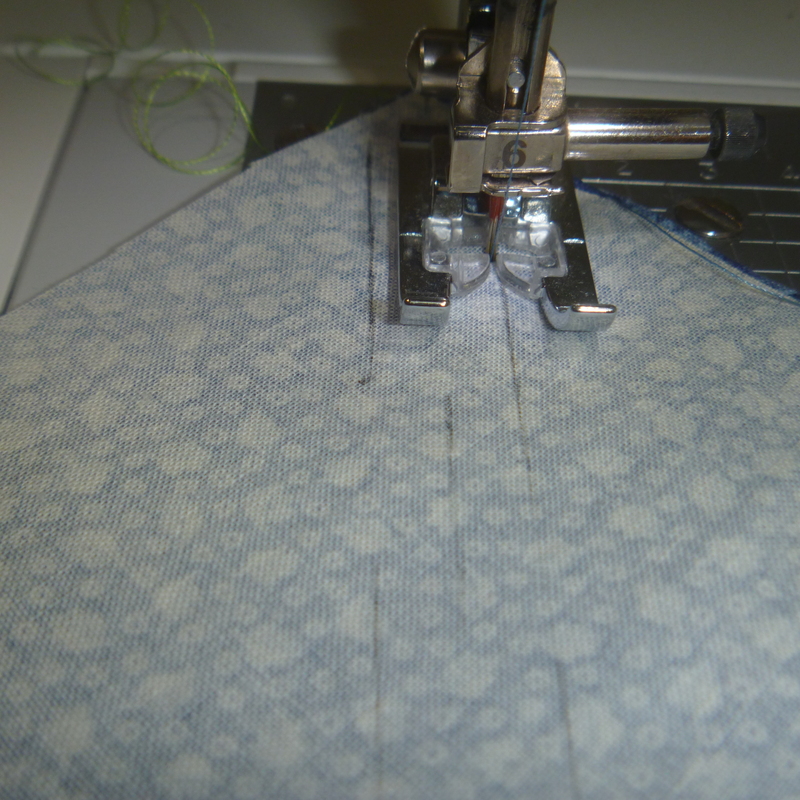 If you just barely sew beside the line, you will have it perfect. 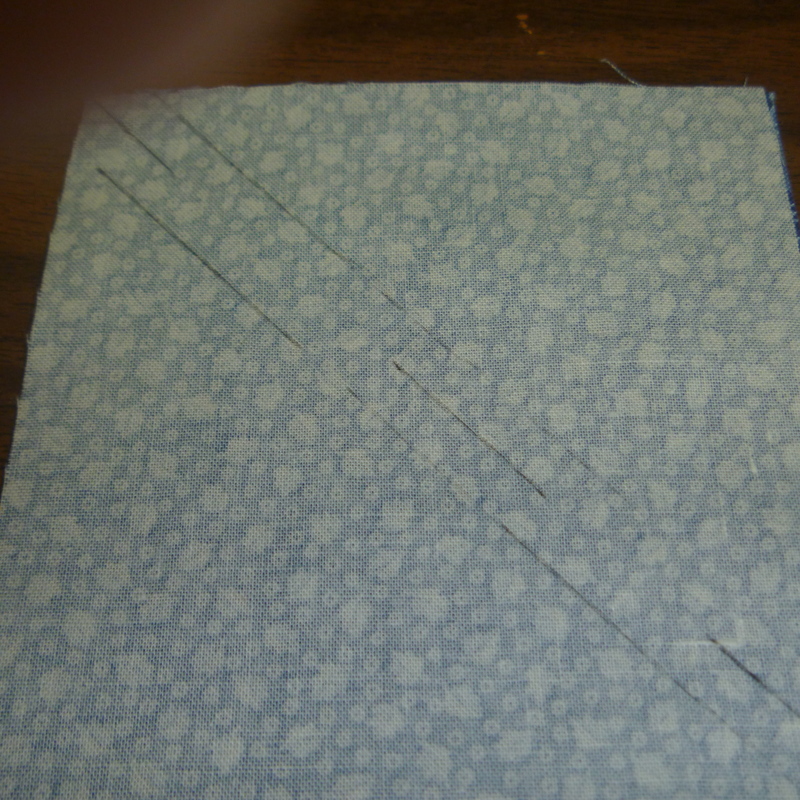 After sewing down both sides, cut it in half down the middle and square it up with a ruler. I put tape on my ruler so it was easy to line up. Look at how these blocks look when lined up as we normally do. Now here they are on point. They really look different! 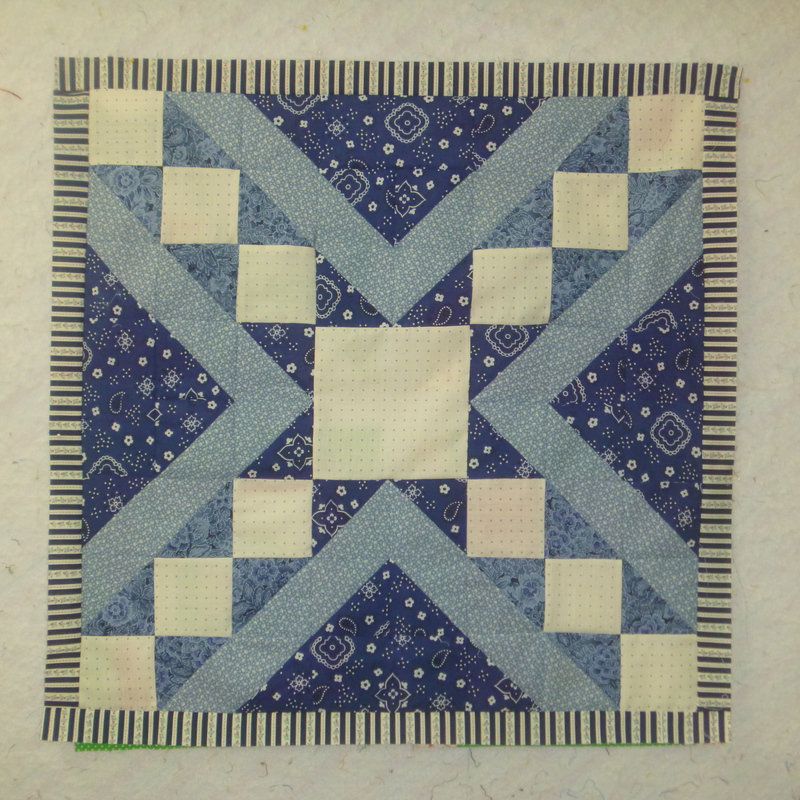 This large block took 4 of each of these components plus a white center block and a border. See how much easier it is when it is all broken down like that. 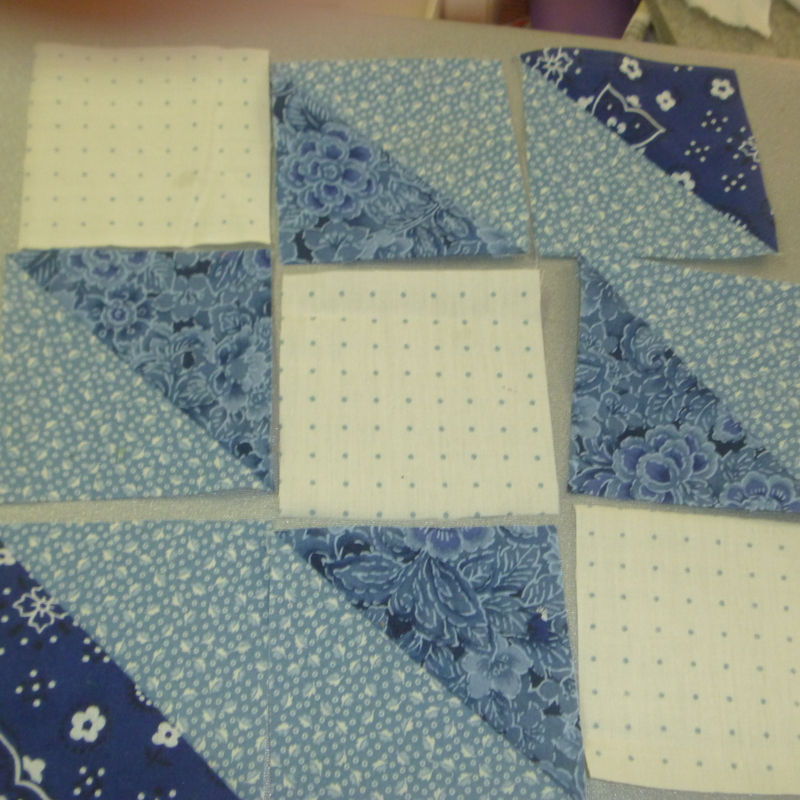 I love that quilting is so much like jigsaw puzzles. I thought perhaps you’d like to see how the bees come. They are driven up from California and I pick them up at the bee store in this box. I then bring them home, remove the queen who is in her own tiny box, and quite literally dump the workers in the hive. 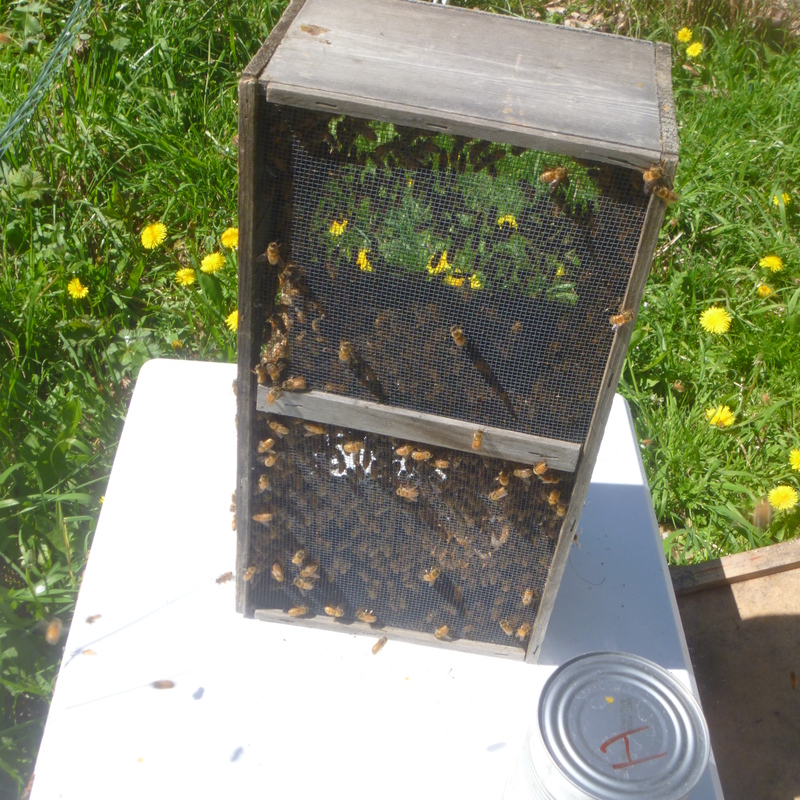 They are all over the top of the hive which I can’t show because I only have two hands and both were busy with bees. The queen box 1 x 2 inches has a cork on it which I have to carefully remove so the queen doesn’t get out and replace it with a marshmallow. This little cage is then put down between frames and her workers eat through the marshmallow and release her into the hive. This can take a day or two and by this time, all the little bees are happy. This is such a new place for the bees and they are all confused for the rest of the day, however bees follow the queen so by dark, they are all inside the hive. Tomorrow I will remove this transport box and in two weeks put another hive box on top of this one so they have more room for brood and honey. Then it was off to plant the peas, which hopefully the chickens won’t scratch up.